You know that restaurant that you like, that you always go back to over and over? That’s sort of like my tester for the week. 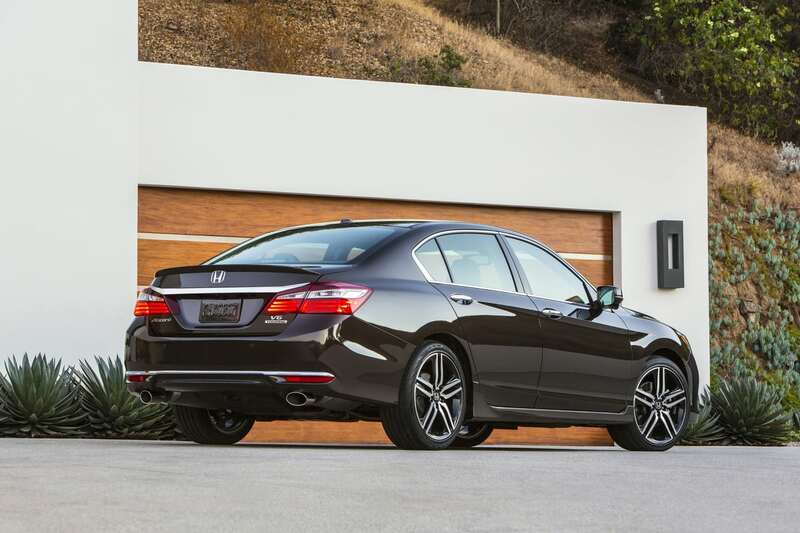 The 2016 Honda Accord never disappoints. Perhaps that’s why it’s a top-selling vehicle. 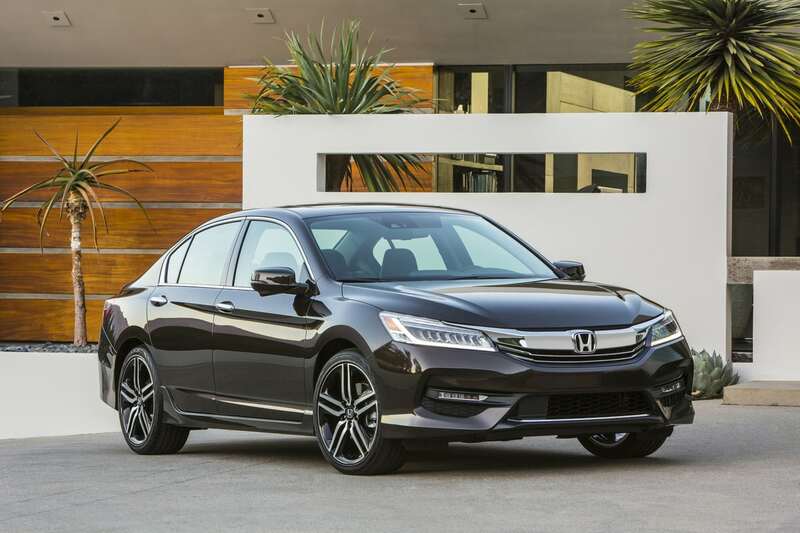 Few vehicles resonate so broadly as the Accord. 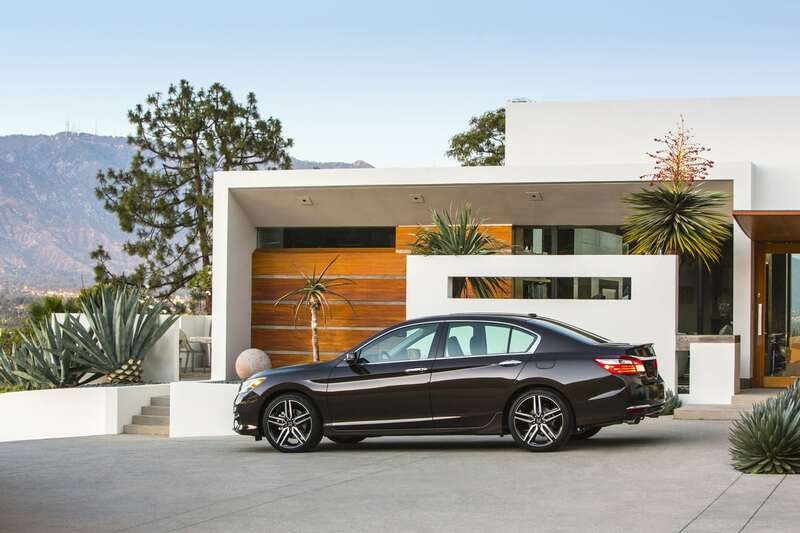 It’s hard being all things to all people, but the Accord comes close. It’s a great family vehicle. It’s a great commuter car. 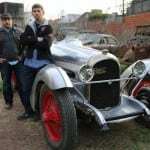 And it’s a car that’s going to hold up over time, both in repairs and in its conservative, but timeless looks. 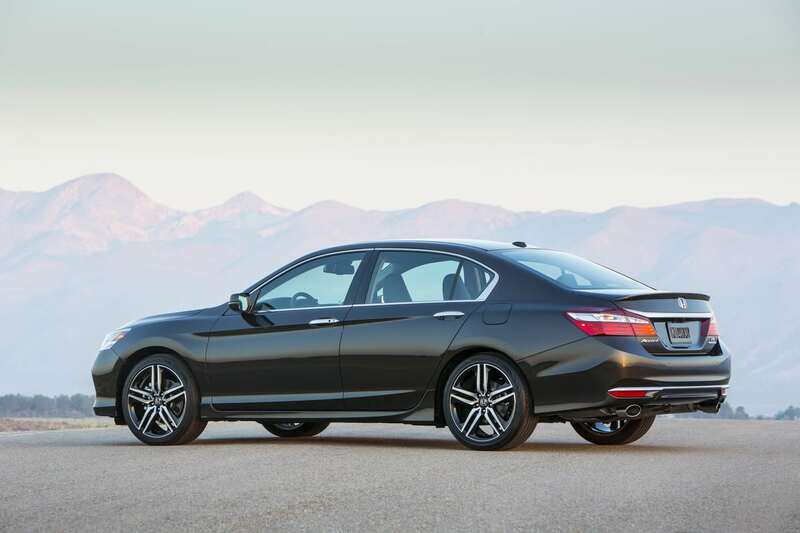 For 2016, the Accord receives some minor facelifts. Just as your favorite restaurant may add a new menu item or adjust their weekly specials, so too is the Accord continually trying to maintain its status within the ultra-competitive midsize car segment. 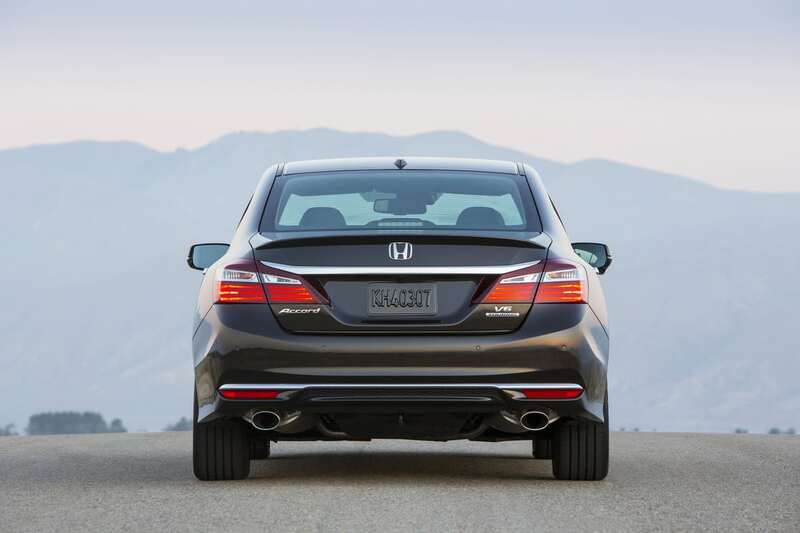 From a cosmetic standpoint, the Accord maintains most of its handsome, conservative appearance. 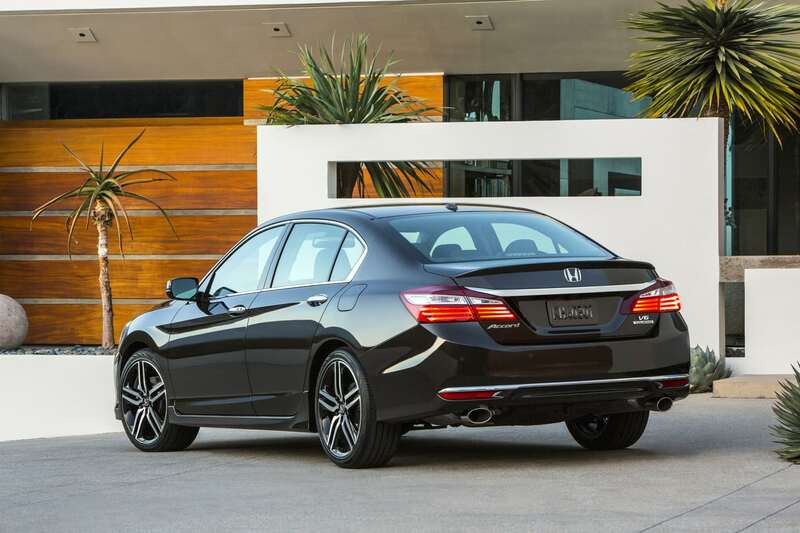 When you see this Accord you’ll notice subtle differences in the front and rear fascia, as well as a slightly different grille. 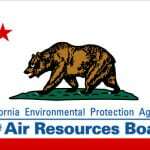 These changes aren’t drastic by any stretch, but they give it a refreshed look. Like when the restaurant tweaks your favorite recipe and makes that much better. The most significant improvement for the appearance of the Accord is the addition of LED tail lights. 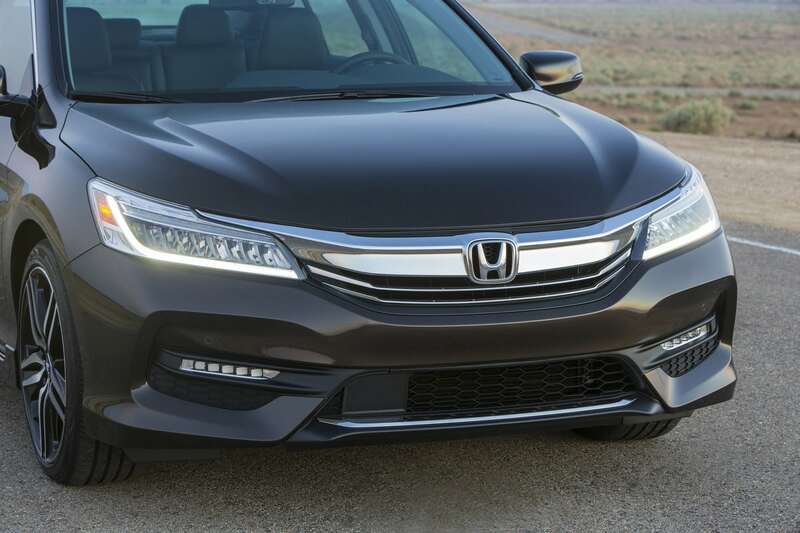 Inside, Honda adds one of my favorite new technology features – Apple Car Play. Don’t worry Android users, there’s also Android Auto for those on that platform. Displayed on the 7-inch touchscreen and connected via USB port, the Car Play integrates seamlessly with your IPhone. There are plenty of apps that integrate with it and it will even read your text messages to you. The touchscreen can be slow to respond when hitting certain buttons but otherwise this infotainment system is solid. The rest of the interior is as you expect an Accord to be. 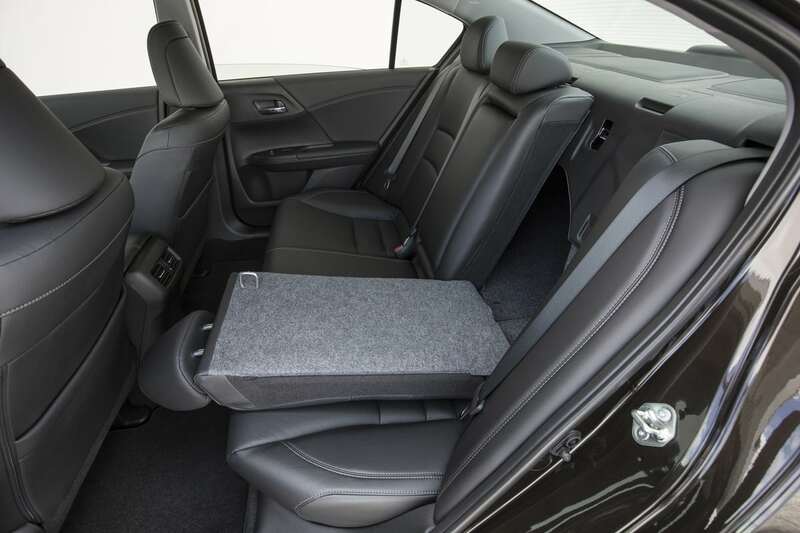 Just as you have your favorite booth at your favorite restaurant, the Accord’s interior is comfortable. The Honda engineers have always paid special attention to cabin space and seat angles to offer the utmost in space and comfort for all passengers. With the 2016 Accord, they once again achieve this goal. Cargo room is improved for most trims as Honda adds a 60/40 split to most of the Accord trims. 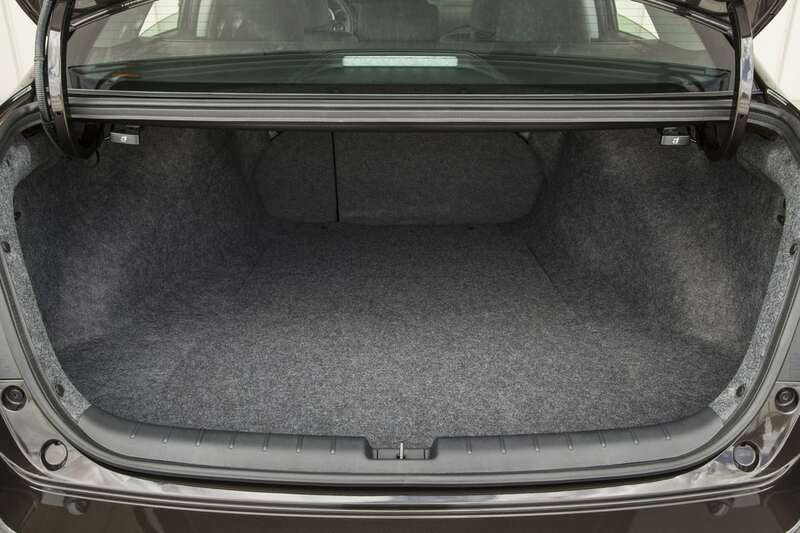 The trunk has a capacity of 15.8 cubic feet. The Accord has two engines, the more popular four cylinder and a more-powerful V6. My tester had the Honda Earth Dreams (where do they come up with these names?) 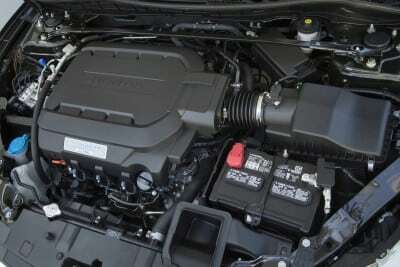 six-cylinder 3.5-liter engine. This engine makes an impressive 278 horsepower, which when compared to the 185 hp in the four-cylinder engine totally changes the way the more powerful Accord drives. Plus, and this is significant, the V6 engine comes with a six-speed automatic transmission, as opposed to a continuously variable transmission (CVT) in the four-cylinder engine. I’d like to see the next upgrade come by offering an eight or nine-speed transmission, but at least it wasn’t a CVT, which never impresses. Honda adds new road-sensing technology to the Accord with their Honda Sensing Package. With this you get a collision avoidance system, adaptive cruise control, lane departure warning, road departure mitigation system and a forward collision warning system. 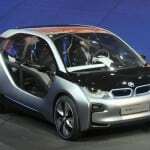 All of this mean more safety, and more autonomous features to assist the driver. Even Accords that don’t have the Honda Sensing Package still get a blind-spot monitoring system with Honda’s LaneWatch which has a camera mounted under the passenger-side mirror to display what is in your blind spot on the infotainment screen. This is somewhat gimmicky, but is a standard feature for all trims. 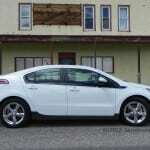 There are six total trims, and two various models, including a coupe and a sedan. The four-cylinder engine has four trims, while the V6 comes with two more trims, EX-L and Touring. My tester was the top-of-the-line Touring trim, which comes with extra features like the aforementioned Honda Sensing system as well as 19-inch wheels, automatic wipers, rear spoiler (which really jazzes up the exterior), and an advanced navigation system. Base model, four-cylinder Accords can be had for around $23,000. 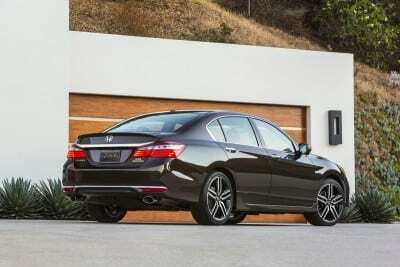 However, with several trims and variants, pricing the Accord can be difficult. My tester had an MSRP of $35,400. Several fantastic features are included in the Touring trim, but you can also price and pick and choose certain options on lower trims. For fuel economy, the four-cylinder engine has a rating of 26 mpg/city and 35 mpg/highway. My tester, with the bigger V6 engine and the six-speed automatic transmission, has an EPA rating of 21 mpg/city and 34 mpg/highway. In a week’s worth of driving, I averaged 28 mpg. 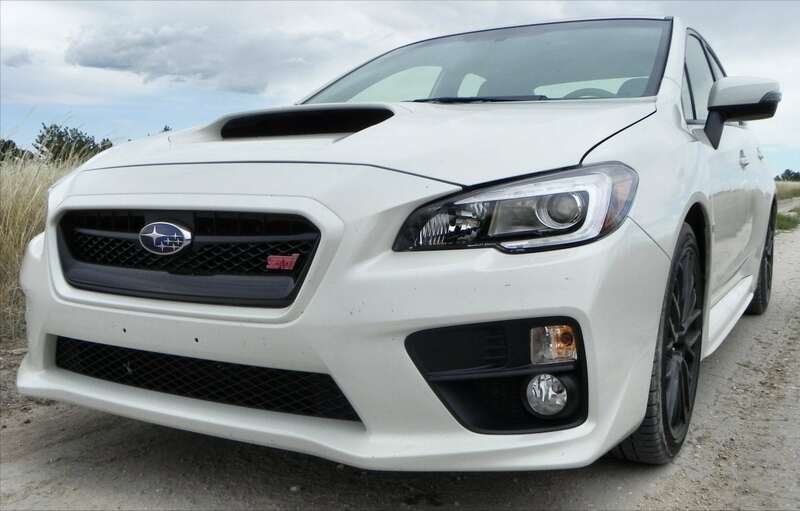 For those wanting to get over that magical 30 number, opt for the smaller and slower engine. 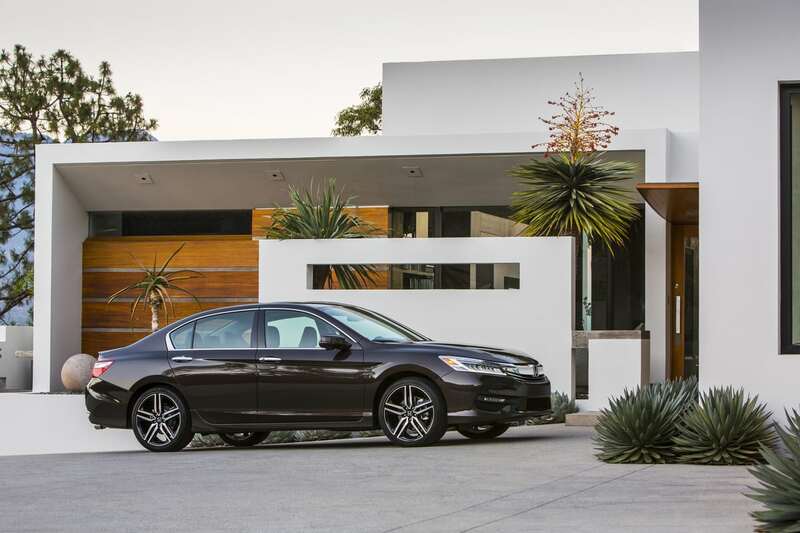 Honda has a recipe for success with the Accord. It sells well, and has broad appeal. 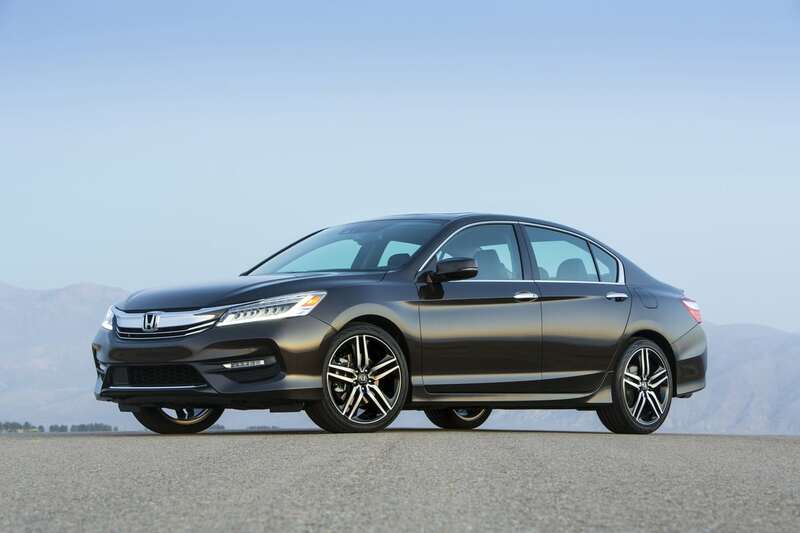 For 2016, Honda continues to tweak and improve this recipe. It’s no wonder so many keep coming back to the Accord.